Many taxpayers are under the assumption that an IRS audit means an agent from the IRS is going to show up at their door. 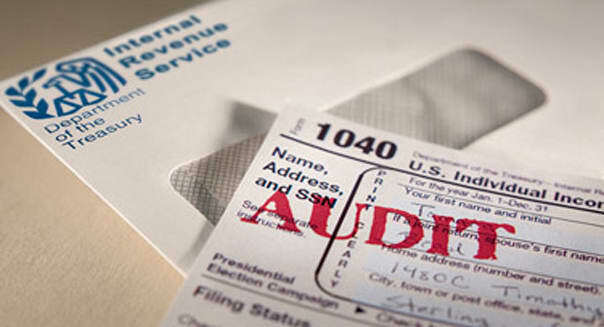 However, there are different types of IRS audits. Today we are taking the time to go into details about them. If you made an error when filling out your tax return, you will usually get a correspondence audit. This type of audit can be handled entirely through the mail. If you feel as though everything was correct, you can disagree with the audit and this usually means the audit will be performed over the telephone. Alternatively, you may need to provide additional documents to accompany your return. This also can be done through the mail. Sometimes the IRS may need you to come into the office and do an in person interview. When this is required, we suggest that you ask your tax professional to accompany you on the visit. Individuals rarely have this type of audit. However, when it does happen the agent comes to your home and they search for what it is that they need to verify. It is a very intrusive audit; however, as mentioned it rarely happens. This audit is truly a pain, and it is done at random. When a line-by-line audit must be done, an agent goes through your return line by line to examine information to make sure that everything is 100% accurate. Seattle CPA firm Huddleston Tax CPAs, we can answer your questions and assist you through an IRS audit. Give us a call at (425) 483-6600.